He might be 36 years old, but Tony Parker seemed much younger on Friday night. 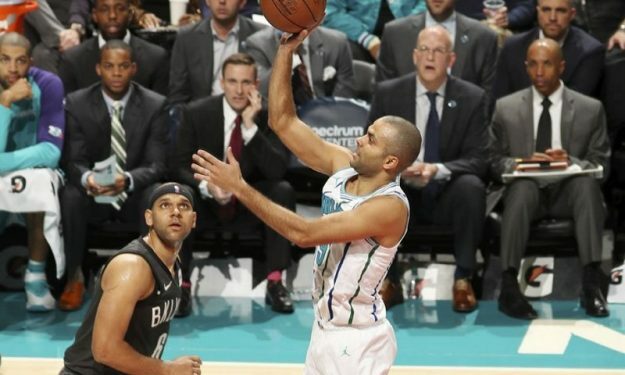 Tony Parker took over for the Charlotte Hornets leading them to their win against the Brooklyn Nets at the Spectrum Center. The 36-year-old point guard posted 17 of his 19 points in the final 6:41 of Friday’s game. He was 8/10 from the field down the stretch. His vintage performance got him to 19 points in 23 minutes. He also notched two assists, one rebound and one block. However, Parker needs his rest to maintain this kind of magnificent form. He won’t play in Saturday’s away game with the Washington Wizards.